Pick the leaves before or at blooming. Cut the stems back after they bloom. RJ's Custom Wood Signs "Sage"
The sage plant has been praised highly throughout history for its powers of longevity. Sage has one of the longest histories of use of any medicinal herb according to medicinal lore. It is native to the countries surrounding the Mediterranean Sea. The Romans treated sage as a sacred herb and had a special ceremony for gathering sage. According to Roman mythology, sage supposedly belonged to the Satyrs, a half man, half goat creature. 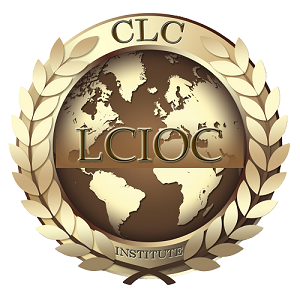 The Greeks associated sage with wisdom and immortality. The Romans and the Greeks used this highly prized herb as a meat preservative to reduce spoilage. In the 10th century, Arab physicians believed sage promoted immortality. 14th century Europeans protected themselves from witchcraft with sage. In the 17th century, sage became a much in demand tea. The Chinese would trade three cases of tea leaves for one case of sage leaves with the Dutch. 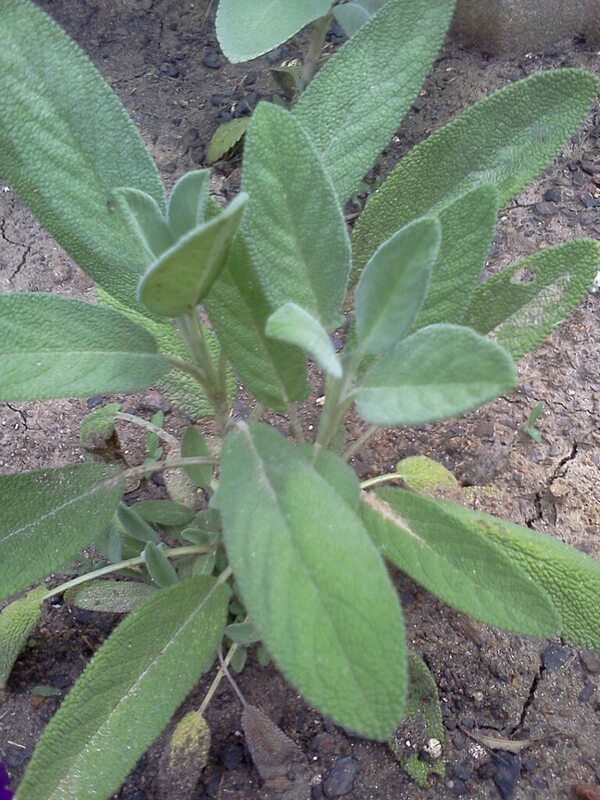 In the Middle Ages, sage was used as a treatment for memory loss, fevers, and intestinal problems. It was also used to treat eye problems, liver disease, epilepsy, and infections. North American Indians also saw the value of sage. They used sage for the spiritual cleansing qualities. 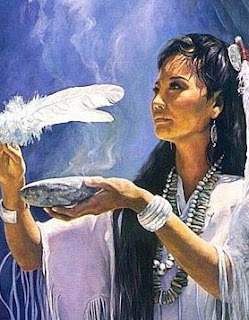 They created sage bundles which produce a purifying smoke that removes negative energy from the air. Sage contains dietary fiber, vitamin A (carotenoid), calcium, and iron. Sage can be used fresh, dried, or ground. Fresh leaves are a good bitter digestive stimulant. 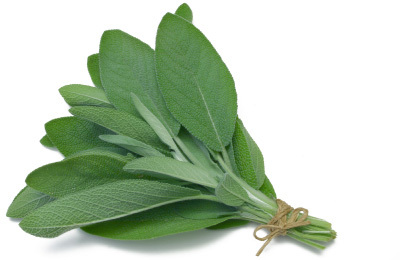 Sage adds flavor to stuffings for pork, rabbit, poultry, and baked fish. It makes a tasty addition in meat or sausage dishes. Sage is also used in soups, breads, dressings, and pasta sauce. It also makes an excellent tea. Used in aromatherapy, sage essential oil is a mental stimulant. It helps one cope with despair and mental fatigue. Sage essential oil can regulate circulation and support metabolism. Sage is an antiseptic and antifungal, making it an excellent mouthwash that can remedy sore throats and oral thrush. Aromatherapists believe sage essential oil is highly regenerative for the skin and scalp. Use with care. Sage is a very powerful oil, so keep the dilutions as low as possible. or speed up slow healing wounds. Sage essential oil blends well with bergamot, cedarwood, chamomile, lavender, and rosemary oils. Use sage as a natural deodorant to reduce perspiration. Plant sage in your garden near rosemary. It will protect the rosemary from developing a powdery mildew. Sage also serves as an insect repellent for cabbages. Sage is a memory-enhancing herb. It calms the mind, enabling clear thought and planning. Energetically, sage clears evil and darkness from people. It allows one to gain insight into the shadow self.